The library and AARP TaxAide are partnering with United Way’s 2-1-1 call center to make TaxAide appointments at our location. Beginning on January 14th, call 2-1-1 to make your appointment. (Simply pick up the phone and dial numbers 2, 1, 1.) 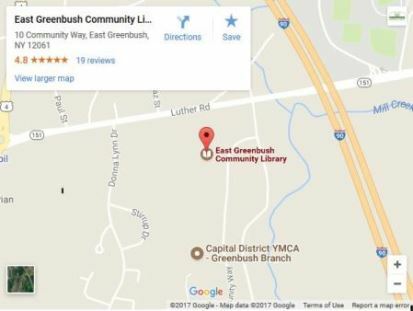 You may request an appointment at the East Greenbush Community Library, or 2-1-1 can help you find alternate locations with available appointments. If you provided an email address when booking your appointment, you will receive a confirmation email with your appointment details and a copy of TaxAide’s pre-appointment intake form. Be sure to complete the form and bring it with you to your TaxAide appointment. If you did not provide an email address while booking your appointment, please be sure to stop by the library at your convenience to pick up TaxAide’s pre-appointment intake form. Bring the completed form with you to your TaxAide appointment. Appointments will be held on Mondays between February 4 and April 8, 2019. Thank you to AARP TaxAide for bringing this service to our location.